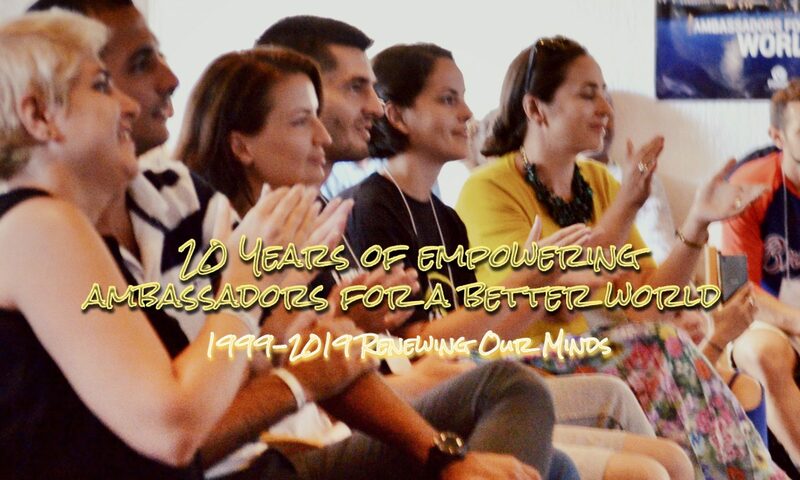 Close to the end of the 2017 ROM – Renewing Our Minds Gathering Tihomir Kukolja shared the final, sending message in which he summarized the vision of the previous two weeks of this international leadership gathering. He said that “it is not a coincidence that ROM is unapologetically about Jesus. Whether we talk about human trafficking, modern day slavery, wars, nationalism, discrimination – we always recognize that the world with Jesus in the center would have been a different place already. Tihomir then talked about the strategy of Jesus. In a special way Jesus invested in the lives and formation of a small group of friends, his 12 disciples. There is a transformative power in a group of friends that decides to have Jesus in the center of their friendship and activities. This is what happened with Jesus’ twelve disciples. Because they were with Jesus those twelve friends of Jesus changed the course of human history. Finally, Tihomir invited the 2017 ROM community to follow the example of Jesus in leadership, which is the leadership of service. Jesus demonstrated that the only legitimate kind of leadership was the leadership of service administered through humility. This kind of leadership is offensive to many leaders today because they believe that humility is a weakness, and the greatness in leadership is achieved by “walking over the others”. “But we are here because we want to become different kind of leaders, leaders who will not create a graveyard of people”, said Tihomir. It is Jesus’ humility that made Him the greatest leader of all. To be big one needs to become small first. Take a few moments and refresh yourself by listening to the highlights of Tihomir’s final message at ROM 2017 “Leading Jesus’ Way”. Time 16:34 min.